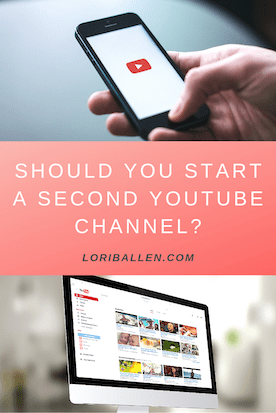 Home » Blog » Video » Should you Start A Second Youtube Channel? Will My existing audience appreciate the new niche or ignore the new videos? If you don’t believe the audiences for all videos will be the same, it’s probably a good idea to launch a new channel. It’s more work, yet it will be much more productive. If you are showing videos in a new niche to your existing audience, and they ignore them, it can hurt your video ranking on your channel that is doing well.